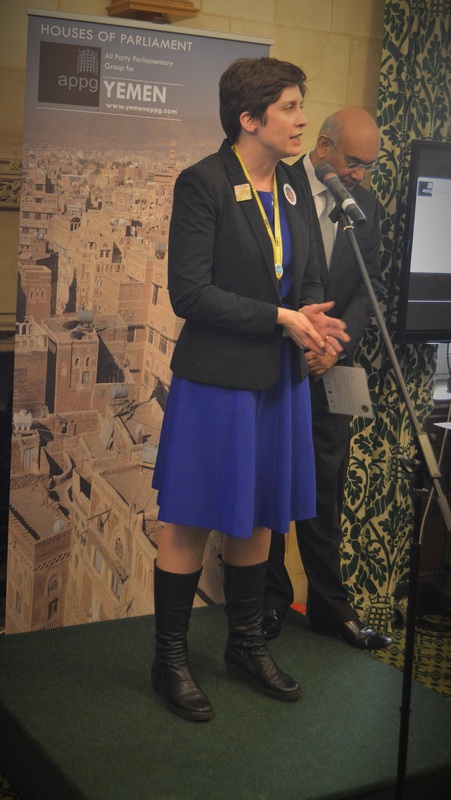 Alison Thewliss, SNP MP for Glasgow Central, yesterday took part in Yemen day at the House of Commons. Ms Thewliss, who is an office bearer of the influential All Party Parliamentary Group on Yemen, addressed the event which was attended by a host of diplomats, aid agencies and campaigning groups. “Conflict in Yemen has been raging for some time now, but very few people have taken notice of one of the world’s greatest humanitarian crises. Over three million people have been displaced and 10,000 people have been killed during the civil war. “Yemen day was a valuable opportunity for a range of interested parties to come together and take stock of the current situation in Yemen. It was an incredibly sobering experience to reflect on the fact that 12 million Yemenis lack sufficient food and over 460,000 children under the age of five are at serious risk of malnutrition. 4.5 million people in Yemen urgently require emergency shelter. “This week, the Disasters Emergency Committee launched an urgent appeal and I would encourage as many people as possible to donate to that vital fundraising drive. As important as aid is, we also need significant diplomatic intervention so that agencies can deliver life saving services. “Wednesday’s revelation that the United States is suspending some of its Saudi arms sales is a small but welcome step forward. It is now incumbent upon the United Kingdom Government to immediately follow suit and suspend the sale of the UK-produced bombs which have been bombarding Yemen. We urgently require a ceasefire in Yemen and the UK Government must step up to play its part”.